The idea was simple. Thirty plugin reviews in 30 days. I would first have to see if there really were more than 30 membership plugins. 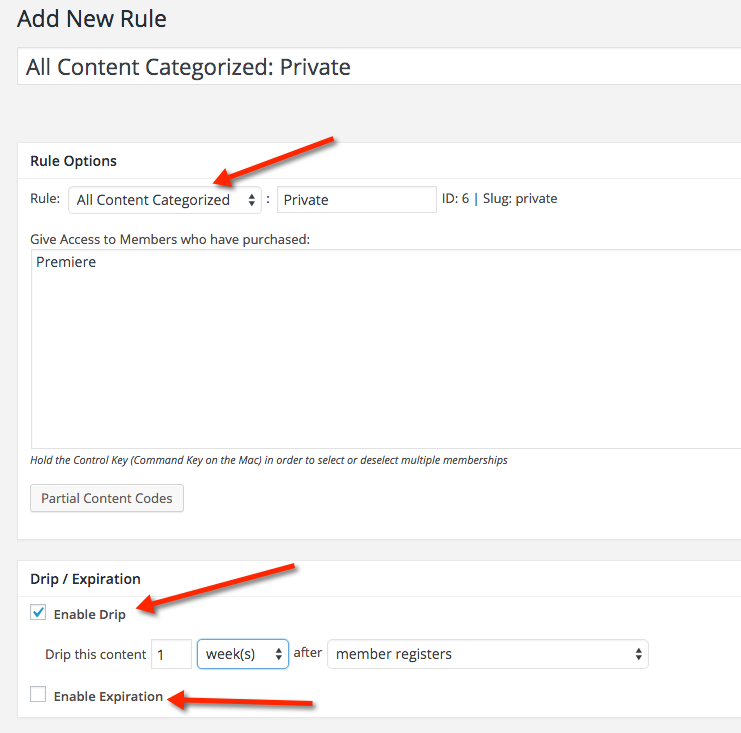 By my limited research, there were over 45 different membership plugins for WordPress. But some are really new. Others are only sold for pennies by internet marketers on sites that look like they are virus-delivery mechanisms. And we’re not counting all the membership-oriented solutions that are hosted and not WordPress. Many are fine. Many are great. But I was focused on WordPress plugins. So the next step was to figure out which would make the cut and which wouldn’t. And that’s how I came up with the list of 30. But it turns out, it was really hard to write full reviews day after day. Some of the plugins required a few days to configure. I also took a week’s vacation and only wrote a few posts that week. So the last couple took some time. And now summer is over. But it’s time to wrap up the series. What you’ll see below is my list of 30 reviews. This article not only announces the winner but highlights why it’s the winner – by reviewing #30. I left MemberPress for last because I figured it’s be in the top three. I was right. I’m sorry if you’ve been reading each post, because in the last couple, I’ve loaded in the criteria each time. But many folks arrive without any history or context of the last 29 reviews. So here’s my summary. Wasn’t there another plugin that scored a perfect score? WooCommerce Memberships? Yes. But what you’ll notice, if you read that review, is that to make it do all the amazing things, you also needed WooCommerce Subscriptions. There’s nothing wrong with that. But in a tie – the win goes to the one that doesn’t require an additional piece of software. That said, for that extension, you also need WooCommerce – the base eCommerce plugin. And since MemberPress doesn’t do full eCommerce (physical product shipping), you might be scratching your head. So that has an impact on the scores. You might think I’m cheating, but remember that for the other perfect score to work, it needed both the free WooCommerce and the extension for subscriptions. For MemberPress to score this well, it only needs itself and if you want to ship products, the free WooCommerce. When you do the math…in my mind…MemberPress wins. And don’t forget that iThemes Exchange pulled off a 4.9 – so really, any of these three solutions will work great! Once you see how well they’ve set things up, you’ll see why it wins the price. When I started the series, I told you that I preferred plugins that helped you navigate the complexities of configuring your membership site. MemberPress does this and has (like many others) isolated some of their features to extensions that you can install if you need them. The list is pretty nice. The most recent of these, which I didn’t start playing with, is their Developer Tools – which looks fantastic! And while that screenshot is nice…let me show you the awesomeness that is MemberPress. Now, let me explain all of what you’re seeing – in a single screen. Member pause and resume for their subscriptions? YES! Pro-rating the subscription when a member upgrades? YES! 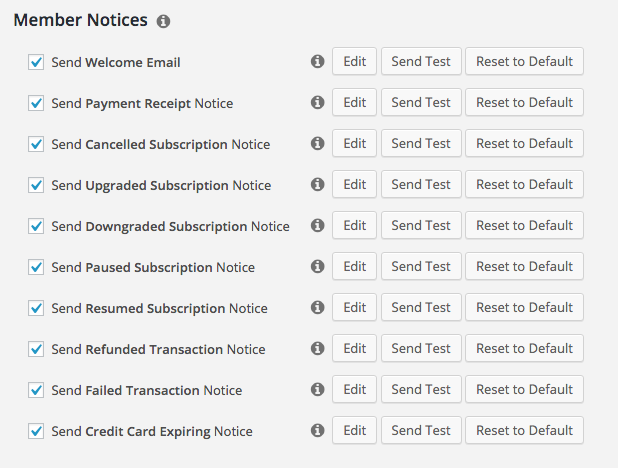 Other than the folks that built the Subscriptions extension for WooCommerce, no one has worked as hard as the MemberPress folks on prorating and subscription pausing. It’s so awesome! And we’ve often discussed, in these reviews, email reminders, right? Not bad. Am I right? Are you seeing why this is such an incredible solution? I hope so. Did I mention they support the Google first click free program? Because they do. And I’ve told you a lot about content dripping, right? They got it. And last but not least, I wrote the other day about their notifications that you can manage to line up with content dripping. I honestly can’t say enough great things about this plugin. It deserves the title. But let’s score it real quick. The pricing on this plugin is an awesome deal – and the developer edition gives you support for an unlimited number of membership sites. I’m not just talking about product updates. I’m talking about product support. That’s gold right there. I recommend the developer edition because the support is priority, and if you’re building a membership site everything is always urgent. This isn’t a hobby blog. We’re talking about business and lost cash. So getting the developer edition just makes sense. And that’s part of what makes this the best WordPress membership plugin of the year – the fact that this is a rich set of features, with a focus on an easy installation and configuration, great support for Paypal, Stripe, and Authorize.net (developer edition), along with priority support (developer edition) – all for less than $200 (as of the publishing of this post). It’s a deal that is just crazy and only available in the WordPress ecosystem. Additionally, I know the owners, and like so many WordPress folks, they’re incredibly focused on the success of their clients. Trust me when I tell you, you won’t go wrong with MemberPress.